Our terminal network can provide flexible tailored solutions to meet your needs. We deliver reliable material handling and logistic solutions for your business. 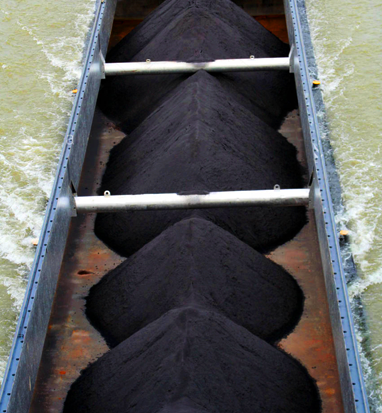 Through our lake and river terminals, we handle approximately 4 million tons of bulk commodities annually. We can provide various transportation options including vessel, rail, barge, and truck. Through our six active facilities, our Terminals group can handle any of your bulk commodity needs. Our services include logistics, material handling, sourcing, and storage. Our team will work with you to provide a packaged solution. We have years of experience moving bulk commodities via various modes of transportation. Strong relationships with numerous regional railroads, vessel lines, barge and trucking companies give us the ability to tailor a logistic solution to fit your needs. A strong background of material handling and processing gives us the expertise to execute any additional handling requirements needed for your application. At our various terminals, we are able to screen or blend your material as needed to create the desired finished product. Through years of brokerage in the bulk commodity space, we’ve built a strong global network that is capable of sourcing the product you require. We can arrange everything from source through delivery to provide a packaged solution for your need.